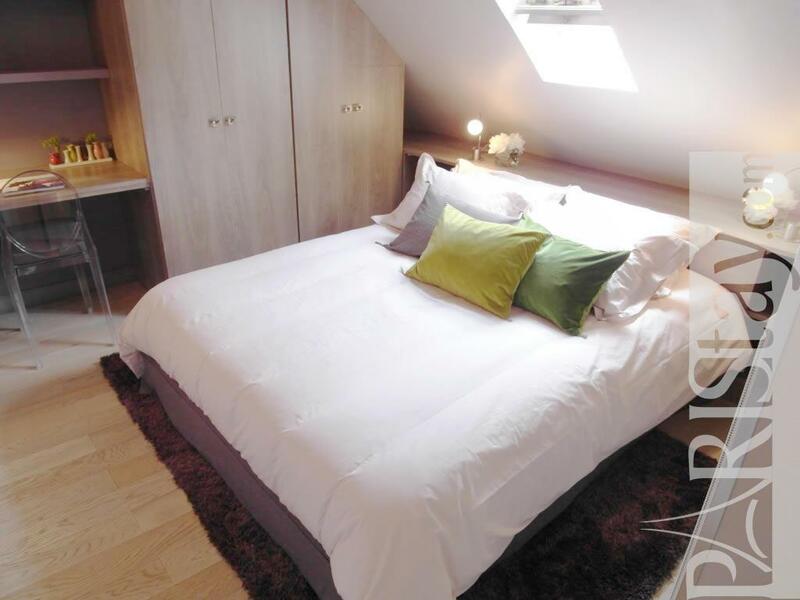 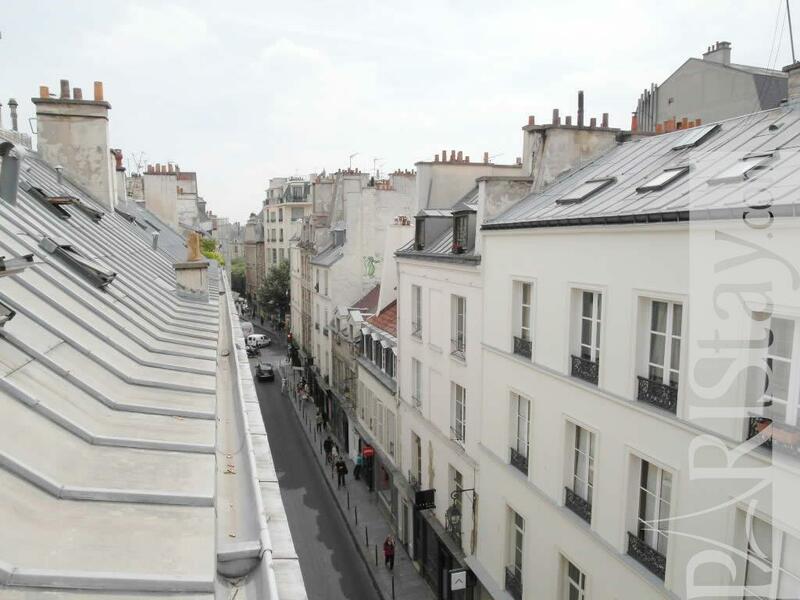 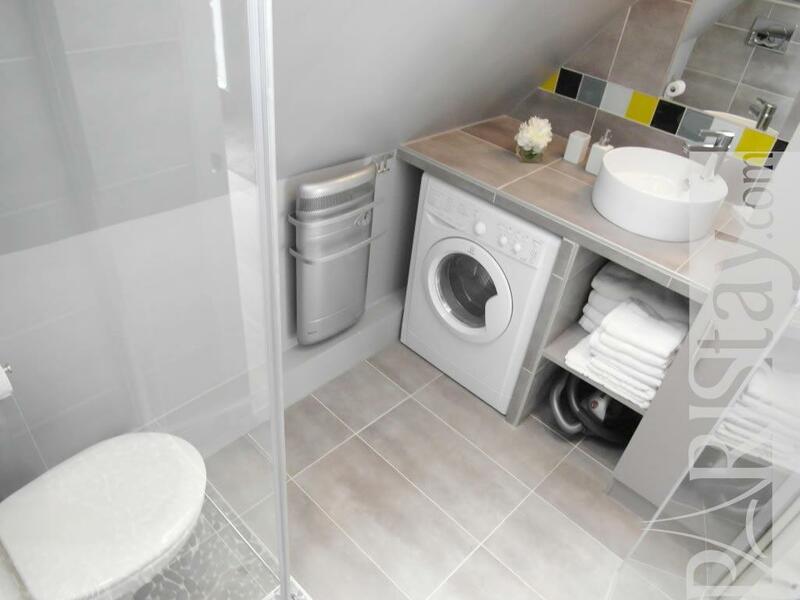 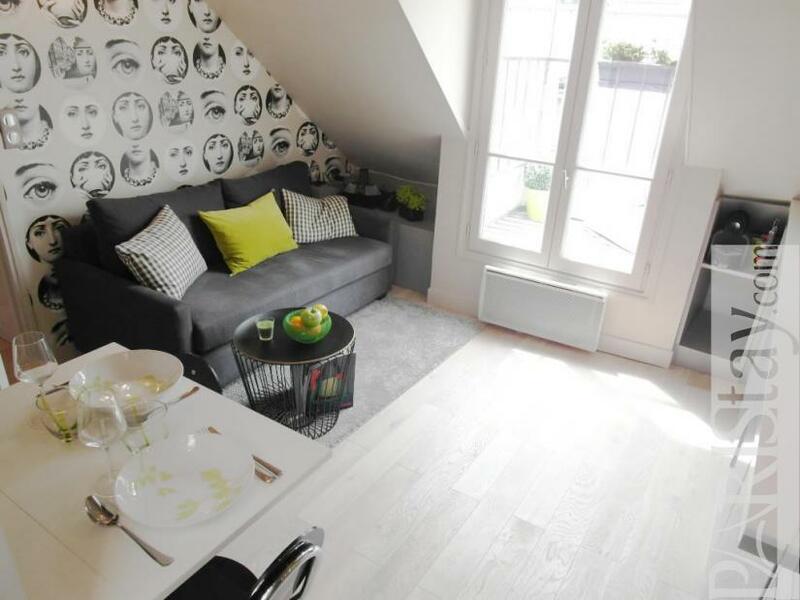 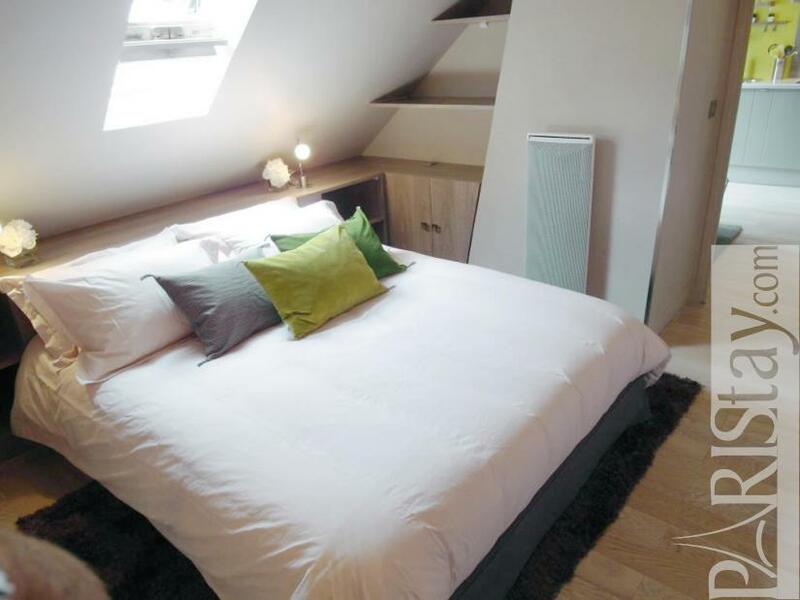 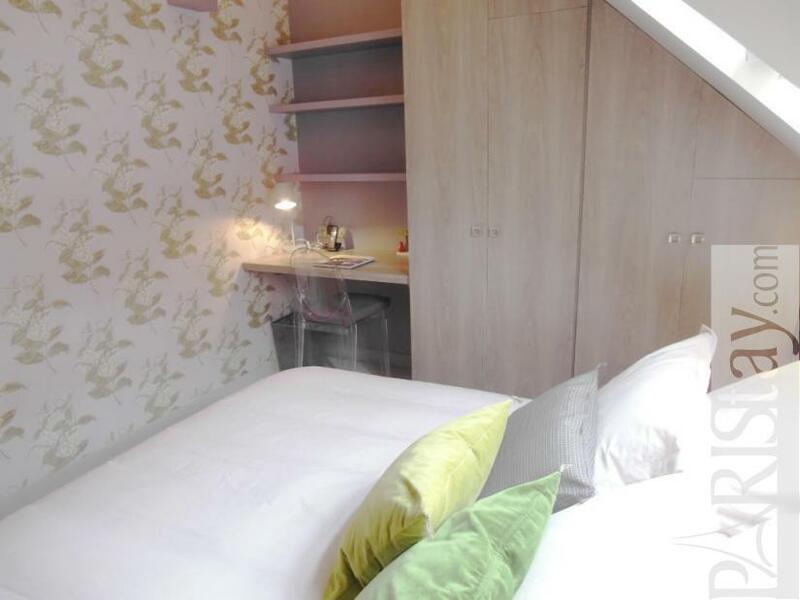 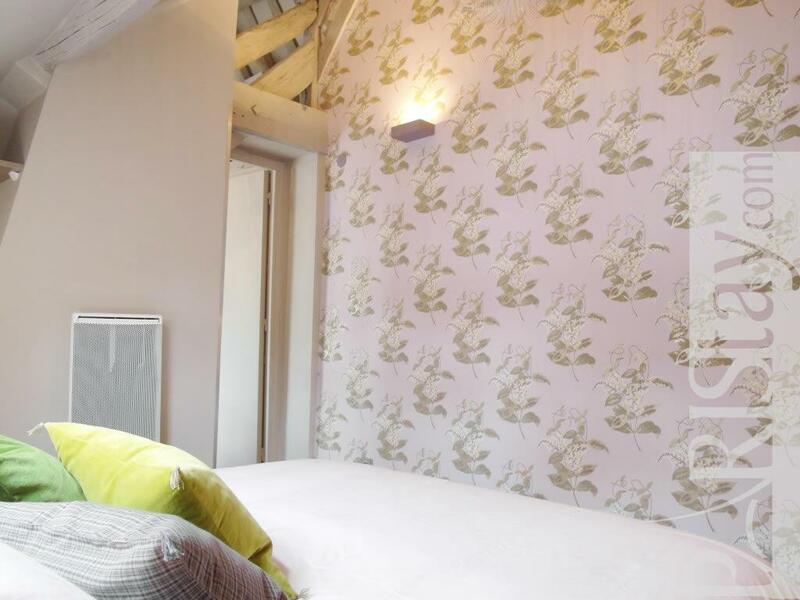 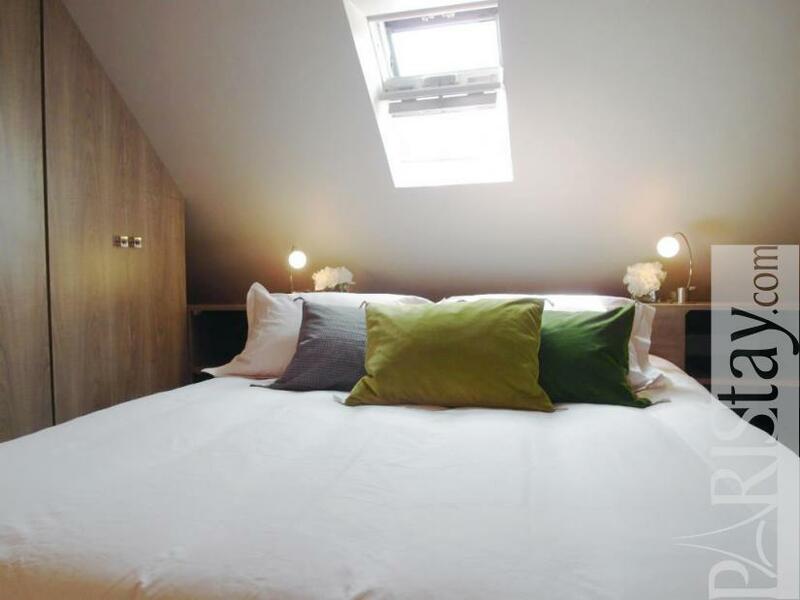 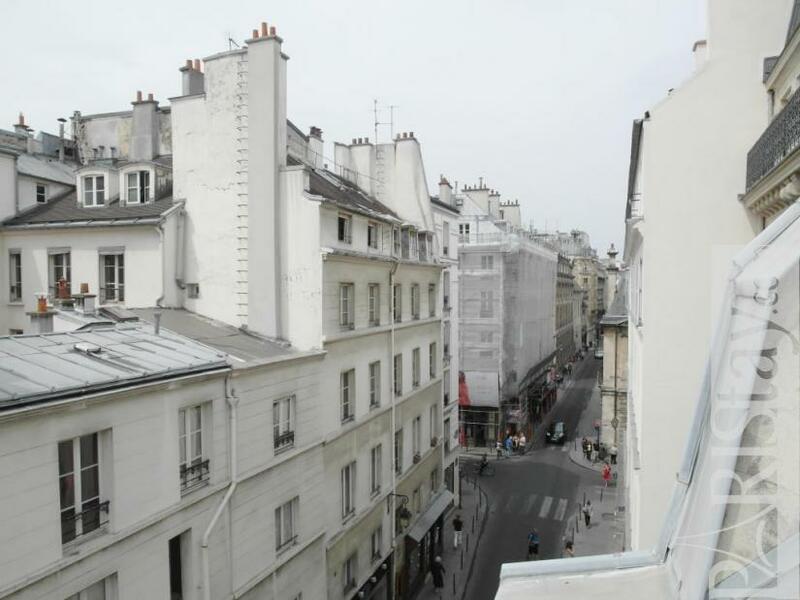 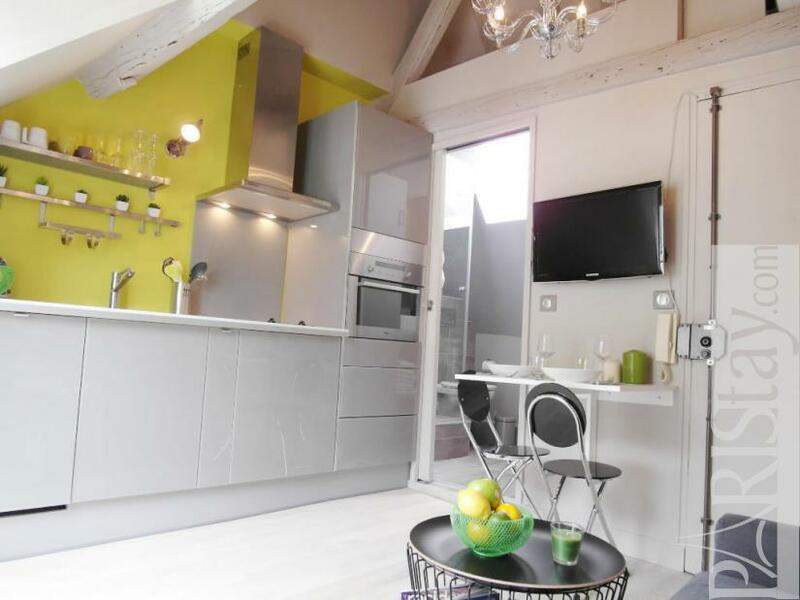 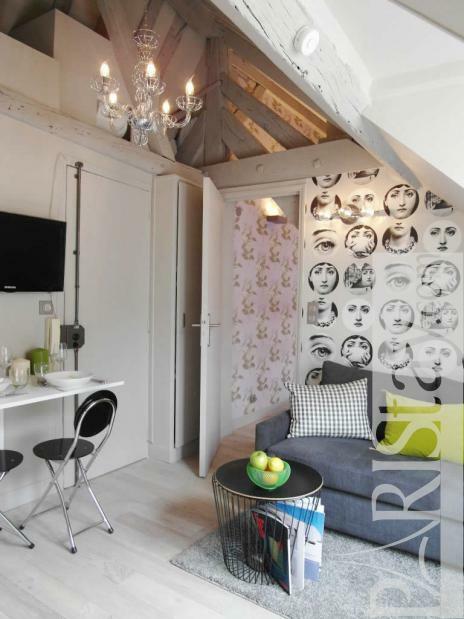 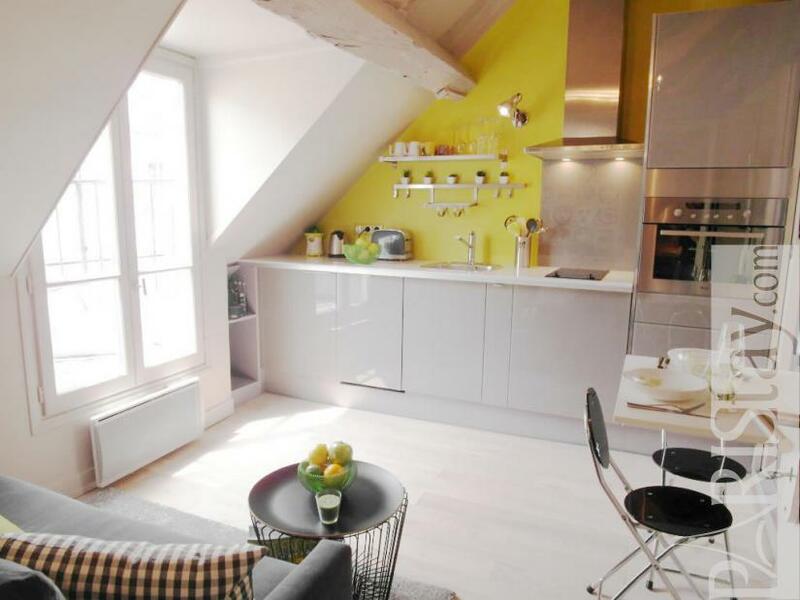 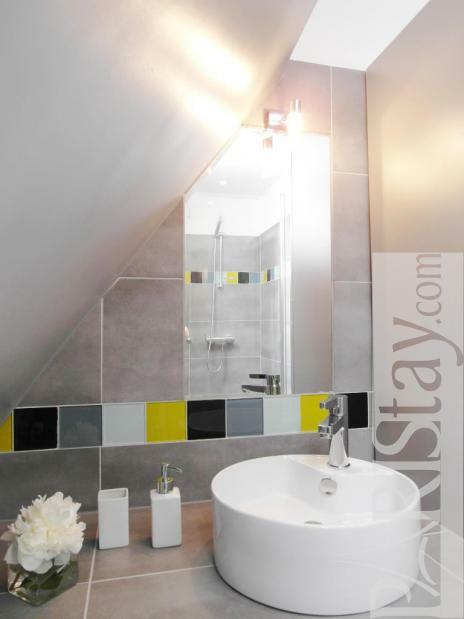 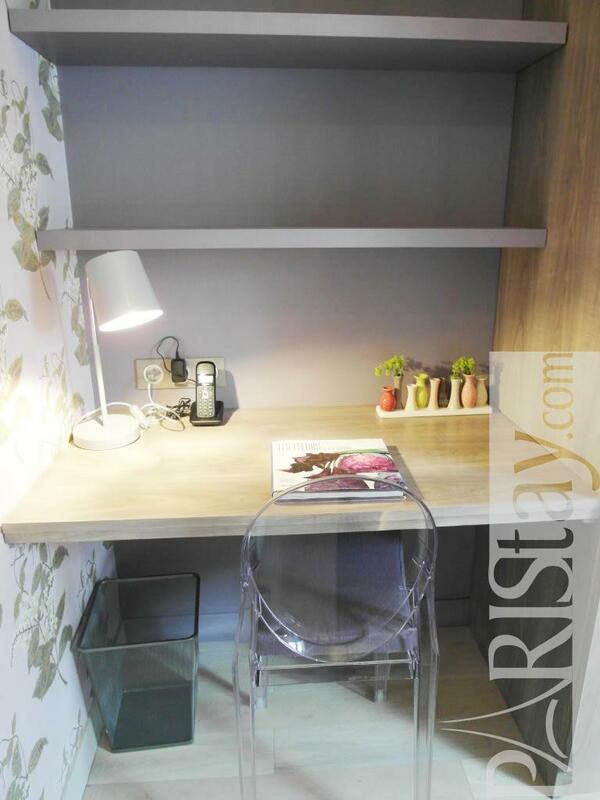 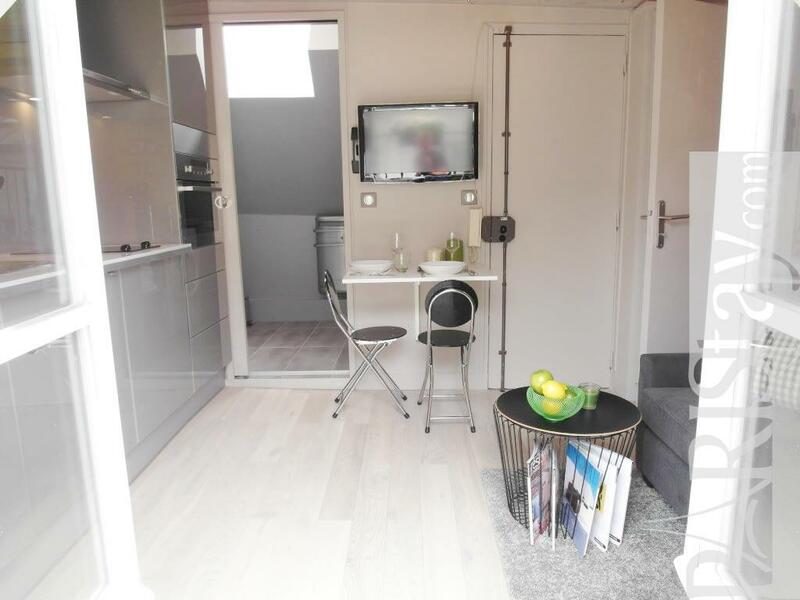 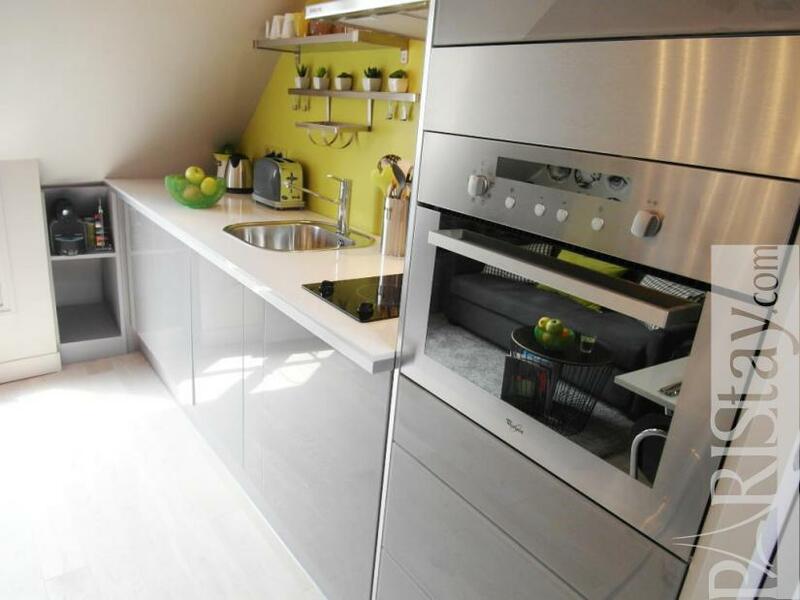 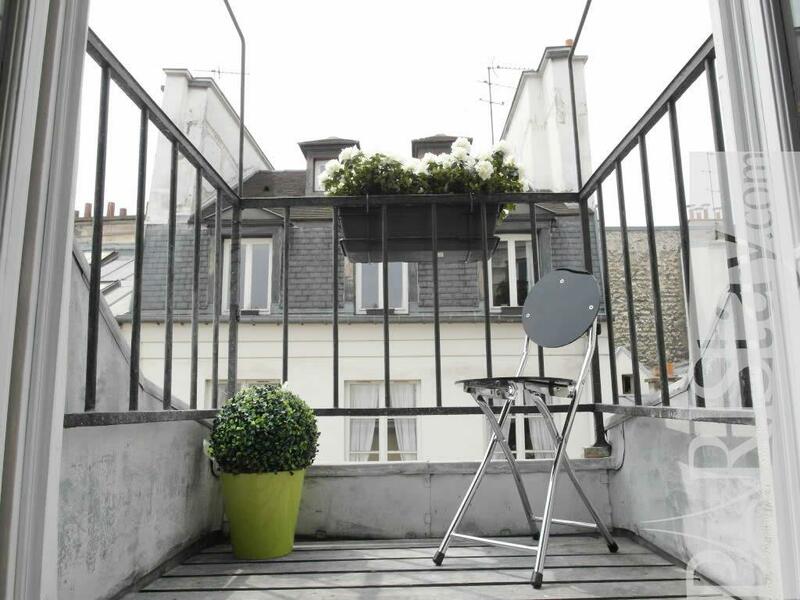 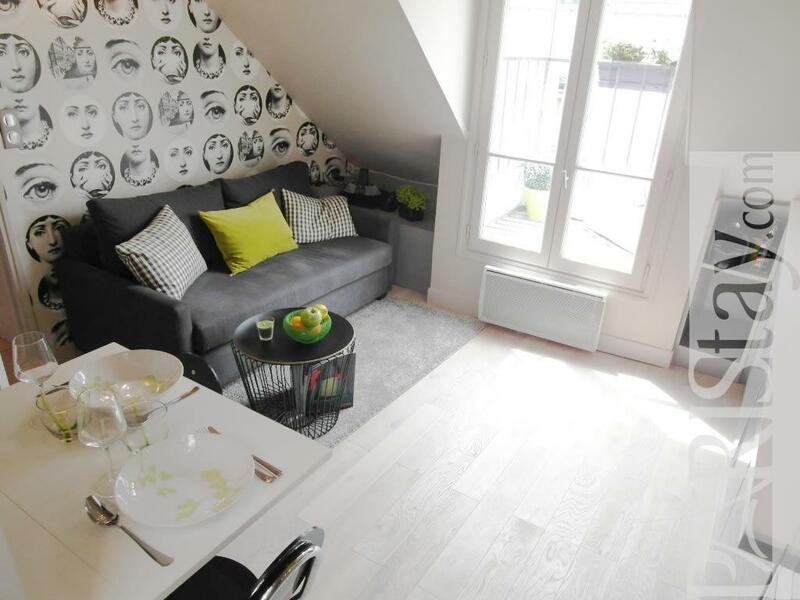 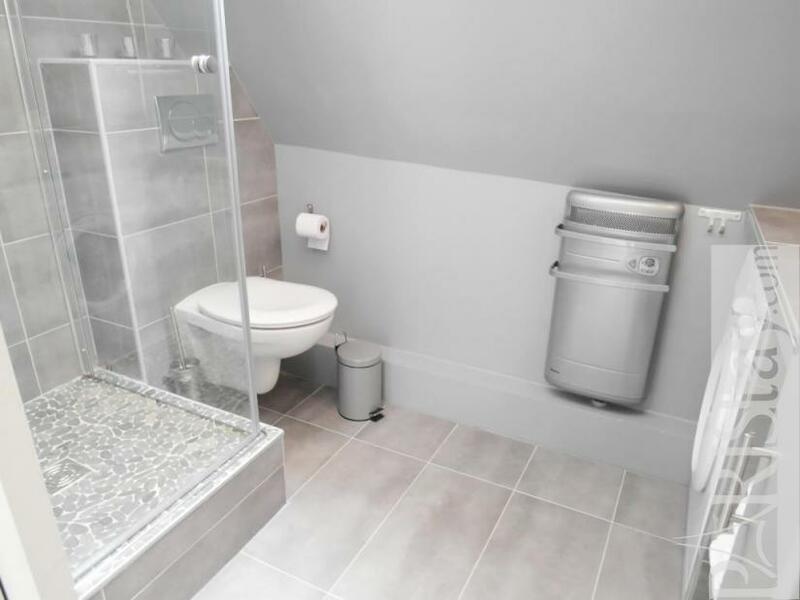 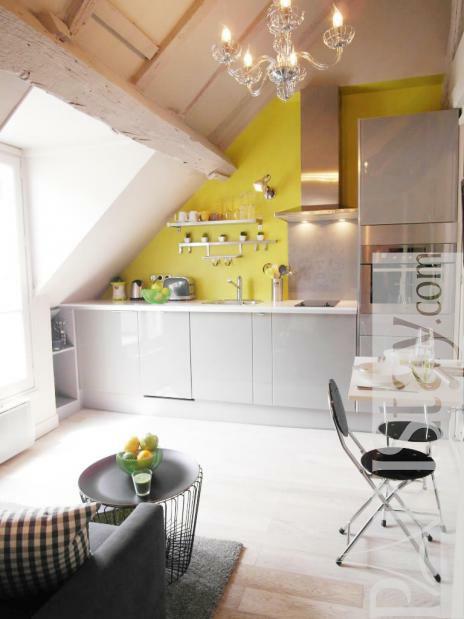 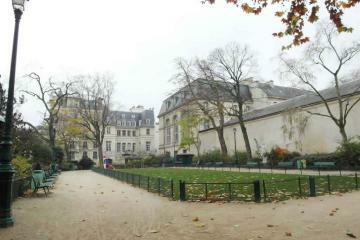 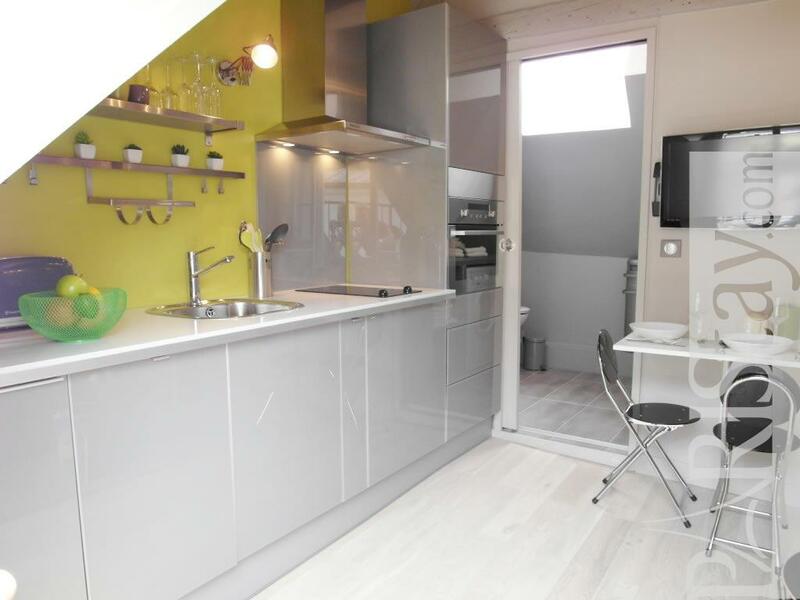 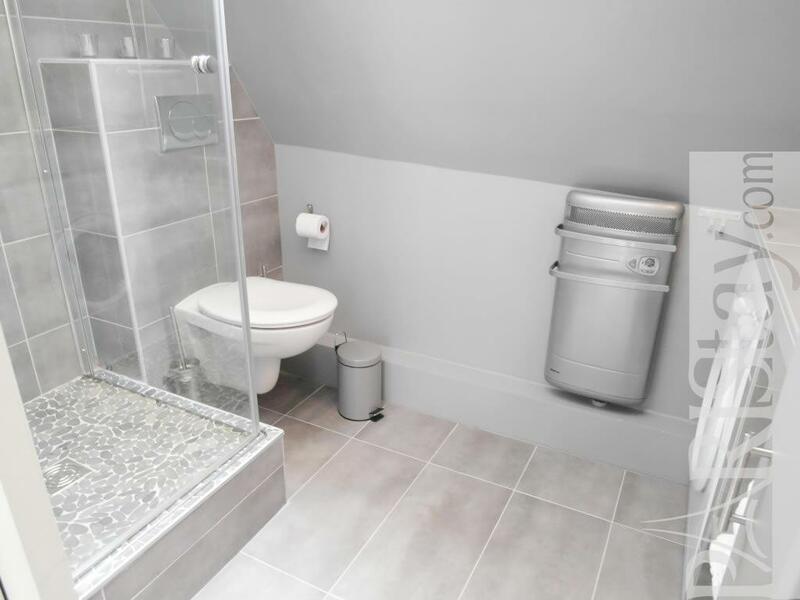 This Paris 1 bedroom apartment is based in the heart of Le Marais. 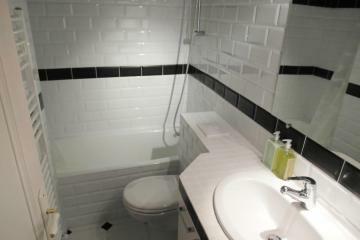 Modern designed, it has been fully renovated in spring 2011. 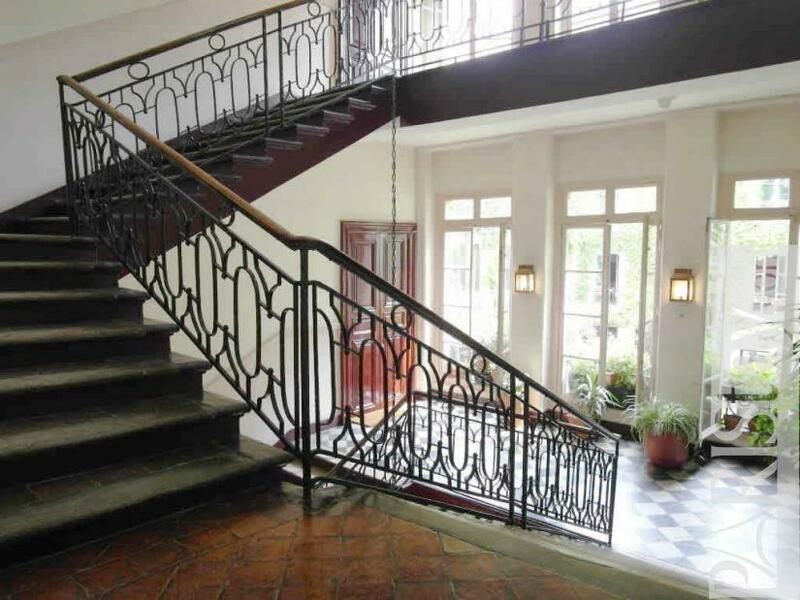 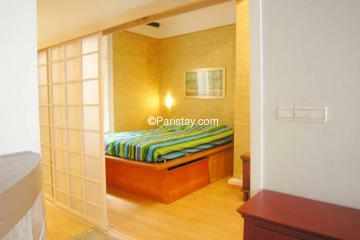 Located on the 3rd floor of an authentic 17th century building which is typical of this trendy neighborhood. 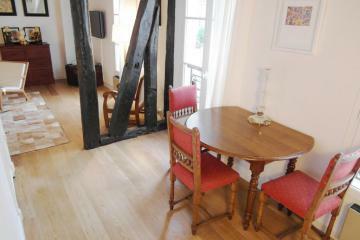 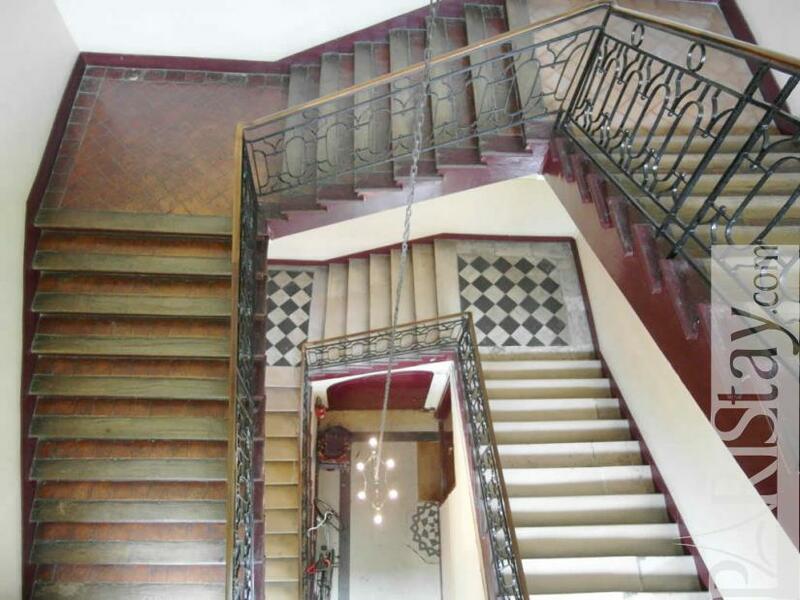 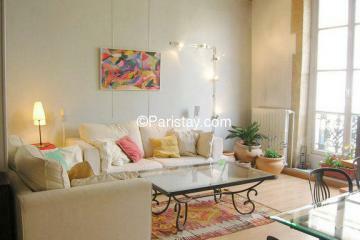 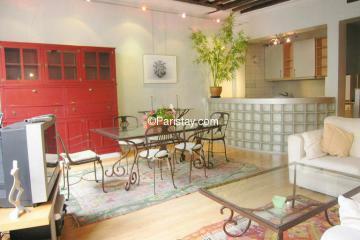 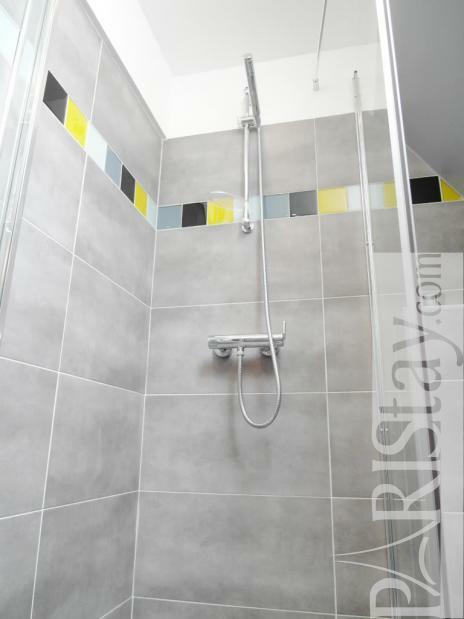 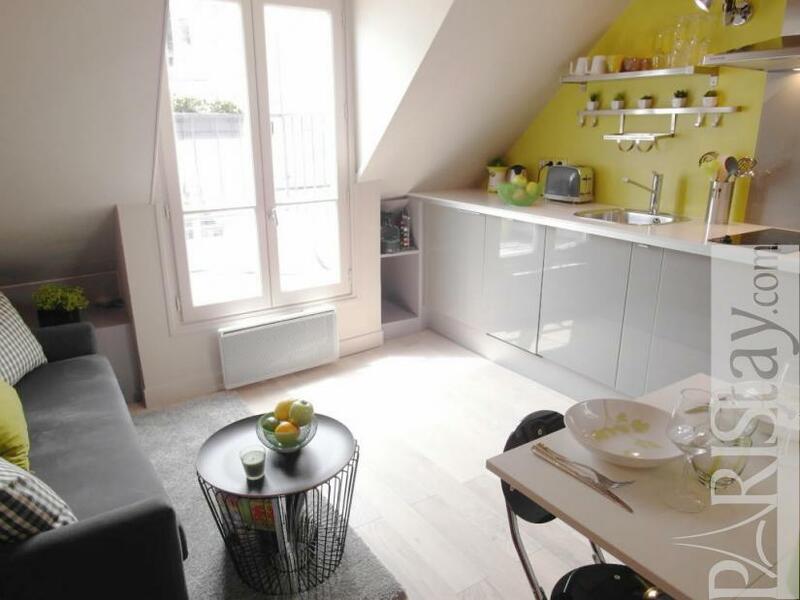 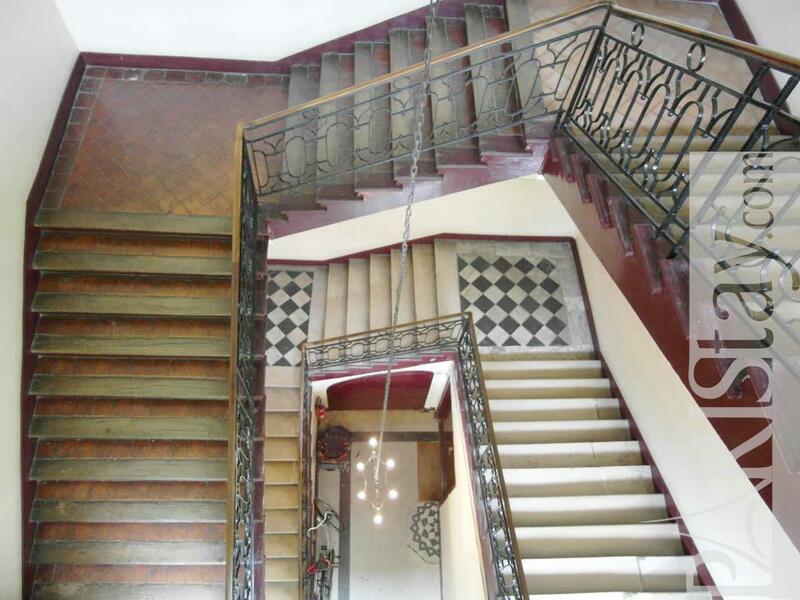 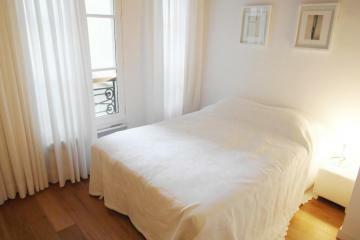 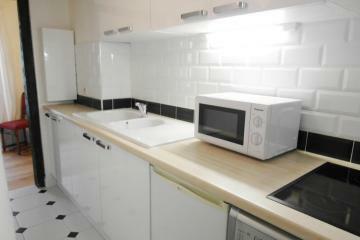 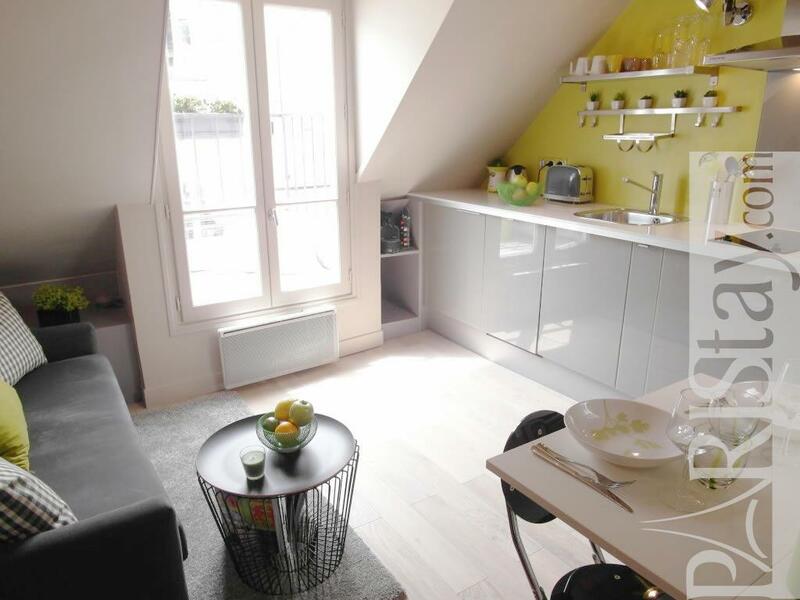 Bright and quiet this apartment is ideal to enjoy a long term renting in Paris. 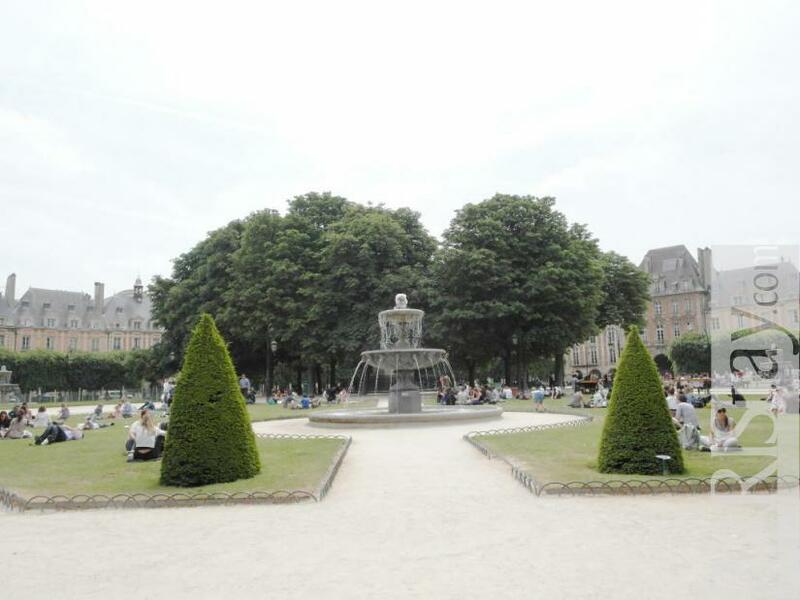 Steps away from the famous Place des Vosges with Victor Hugo's house. 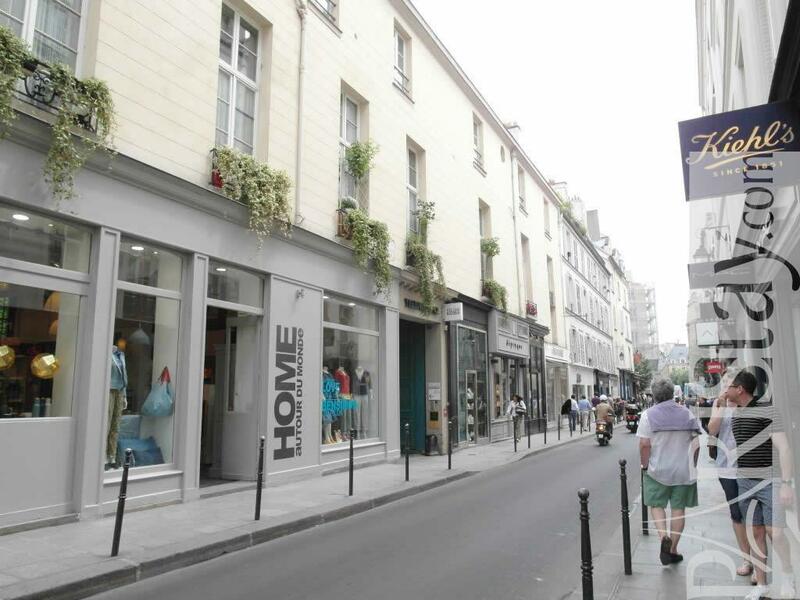 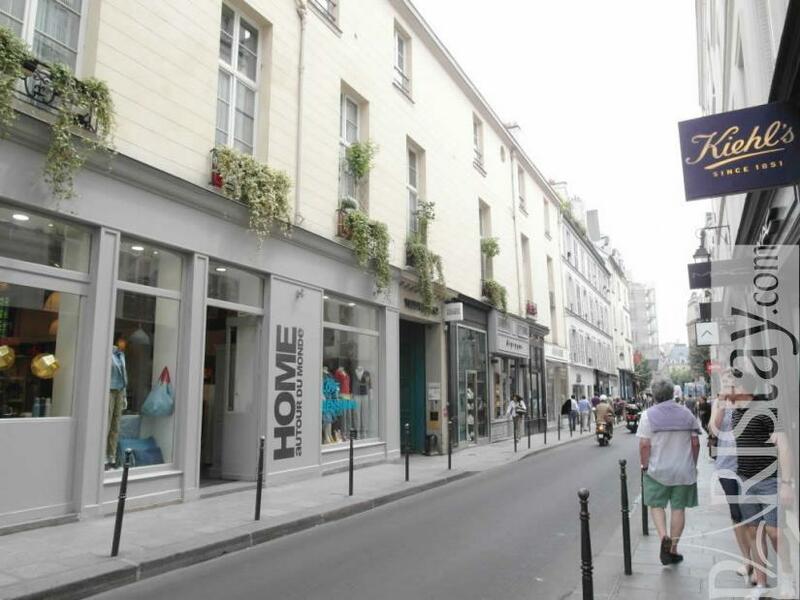 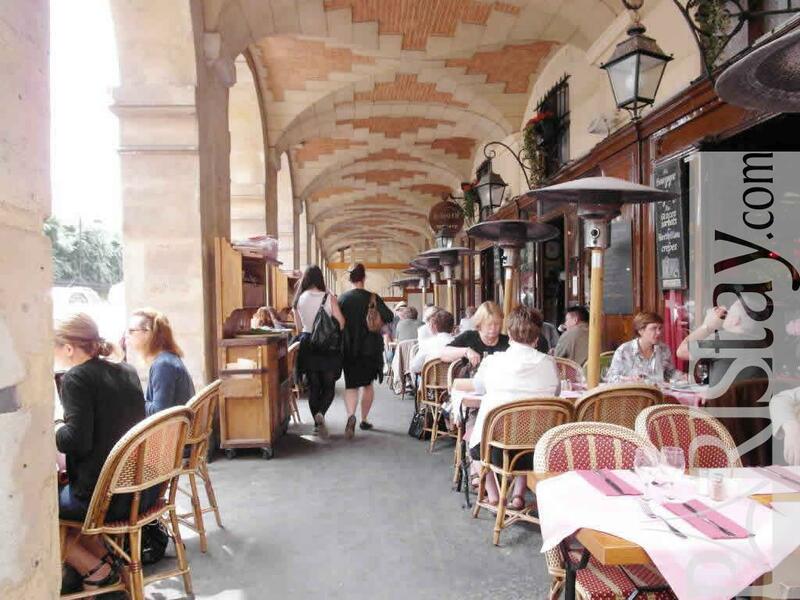 You could enjoy the shopping, with many restaurants and cafés in the marais. 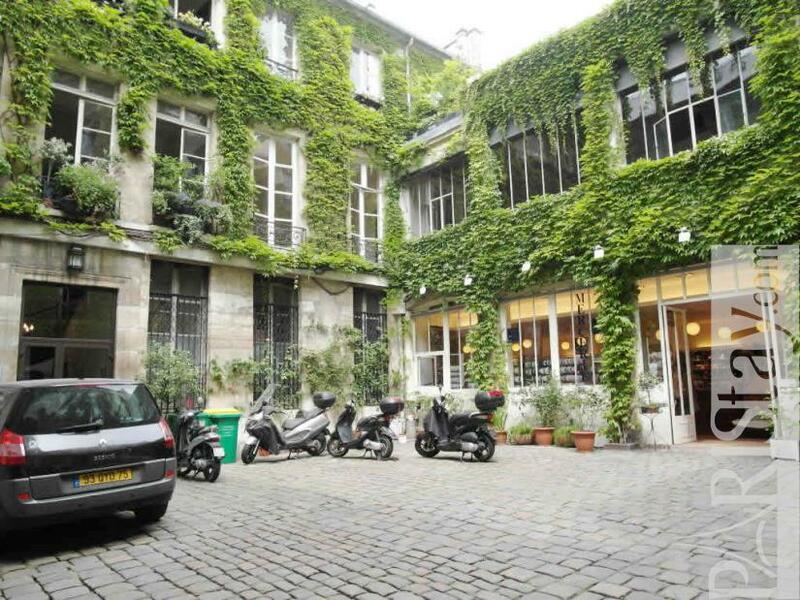 there's Carnavaret museum and if you keep going on the Rue des Francs Bourgeois to the west, you'l larrive Bourgourg, George pompidow center. 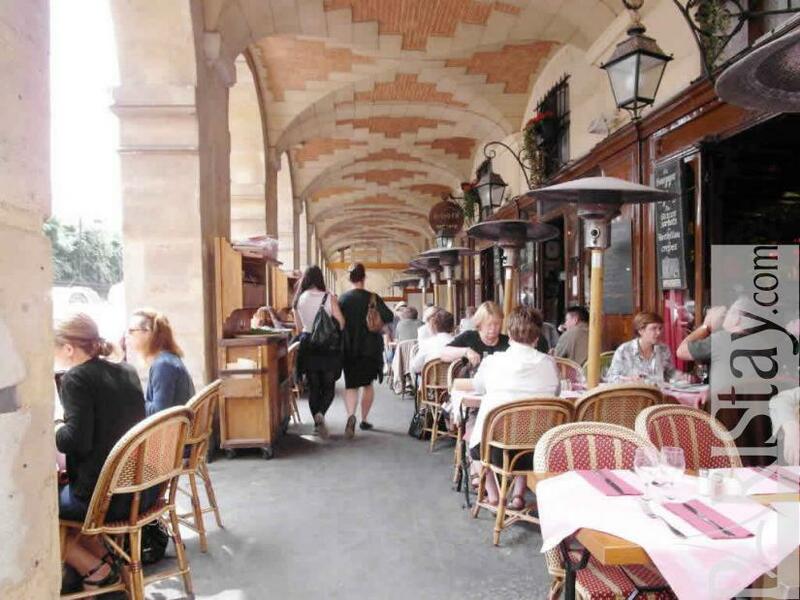 If you go south, you'll arrive famous Ile saint Louis area, you could go walk around along the River seine to reach Notre Dame church, next to Latin quartier area. 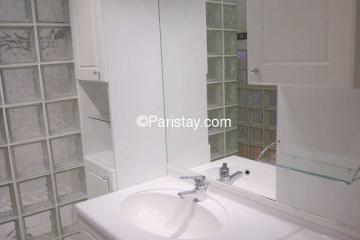 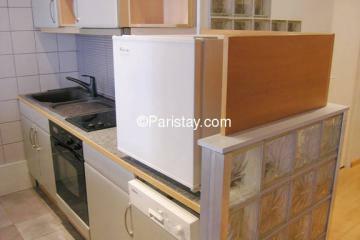 It is a very convenient and central location to enjoy your Paris stay. PLEASE NOTE/ THERE'S CLEANING OBLIGATION OF 2HOURS BY MONTH INCLUDED IN THE MONTHLY RENT. 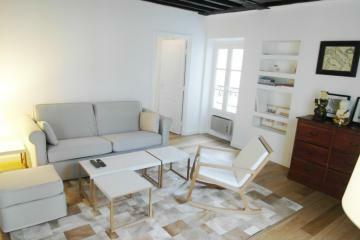 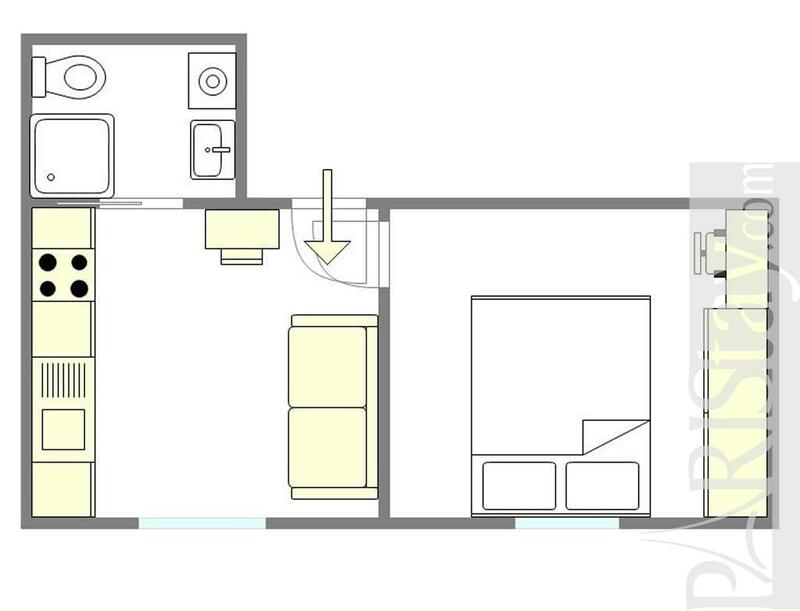 17th's Building, 3 th floor, without Lift, entry code security system, 1 bedroom Appartement, furnished, Approx: 30m² / 323 Sq.Ft.